Pet Portraits: PetArt with Heart | Amazing Painted Memories! Treasured moments exclusively painted with passion to perfection – Delivered to your door! 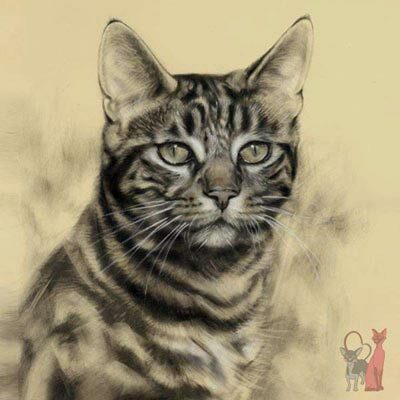 From your own photographs you'll get custom hand painted or drawn pet portraits of your cat, dog or horse, created with meticulous care and attention to detail. 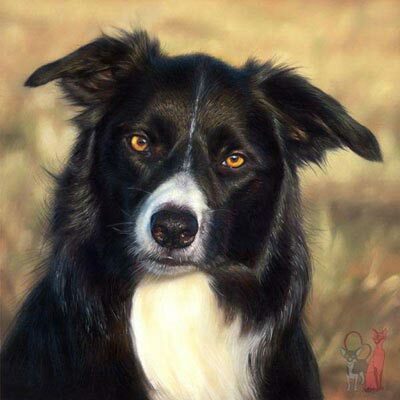 The outcome is a unique pet portrait with a wow factor, a work-of-art you truly deserve to have. This is art with meaning and personality, a timeless celebration of the best of times you shared with your pet. Is this service for you? Scroll down to learn more about my special offer. 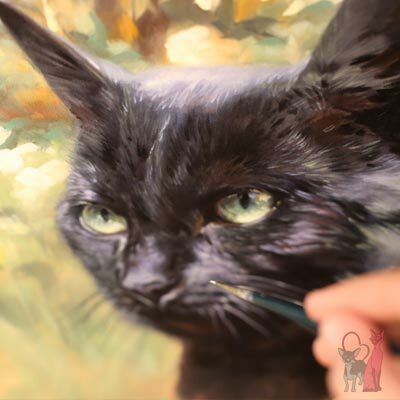 Gallery with traditionally hand painted detailed pastel pet portraits with soft pastel sticks and pastel pencils, using art supplies of highest quality. Gallery with traditionally hand painted oil pet portraits on linen canvas with fine art oils, using art supplies of highest quality. Gallery with traditionally hand drawn conté pastel pet portraits on Canson paper with fine art pastels, using art supplies of highest possible quality. 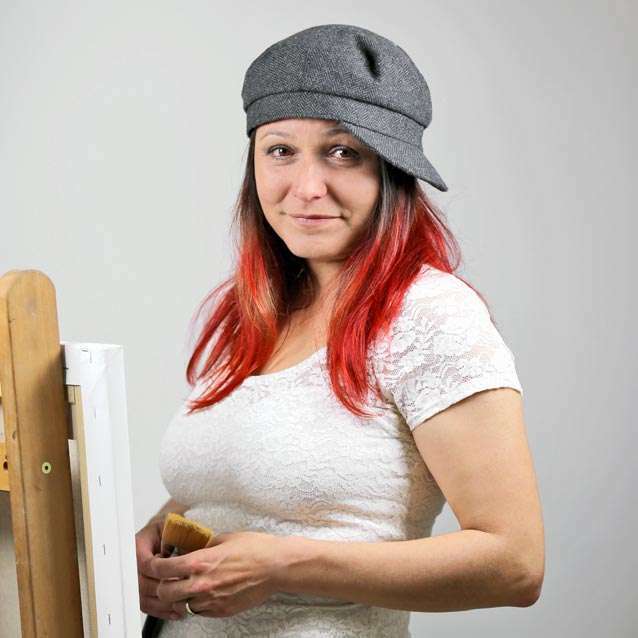 Welcome to my “On The Easel” blog and follow all commissioned artwork come to life by each step. 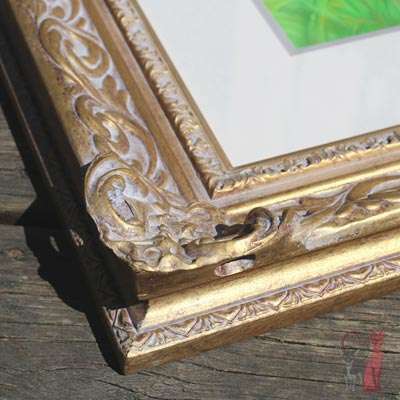 Enhance and protect your amazing pet portraits for generations with a luxurious and exquisite framing! Make a pet lover happy! Are you looking for something special and unique to give? 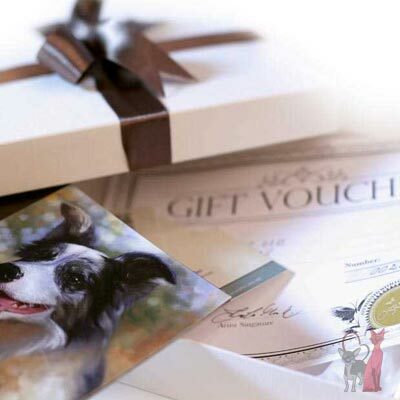 Order a Gift Voucher! If you like, tell me about your pet and his unique personality, what he means to you and those special moments you’ve shared together, moments you cherish deep in your heart. What you write to me stays between us! Your story will be read with great interest and help gaining inspiration even before the first brushstroke meets canvas. These pet portraits are not a copy of a photo; if you look closely you will see visible brushstrokes. My offer to you is a traditionally hand-painted portrait with my unique perspective of what I see in your pet. Who’s Behind PetArt with Heart? A warm welcome! My name is Katja Turnsek and I'm a professional pet portrait artist based outside Gothenburg, Sweden. I will hand-paint or draw a one-of-a-kind masterpiece of your own dog, cat or horse to adorn your walls at home or in your office, for you to treasure forever. Plain and simple, I’m passionate about painting pets, their expressing, soul and character. With many years of experience in creating traditional pet portraits on commission you'll appreciate the level of service you receive, from our initial contact right through to the safe worldwide delivery. Commissioning a portrait from your own photographs is the perfect way to create a memorial or gift for yourself, friends or family. I’m looking forward working with you soon. "Even though it's been almost a year since we lost Samantha, you have kept her alive with the stunning picture of our little girl. We now have so many memories because of all of your hard work. Memories that cannot be taken away. Every time we look at the very realistic picture of her. Keep up the good work for those who follow." 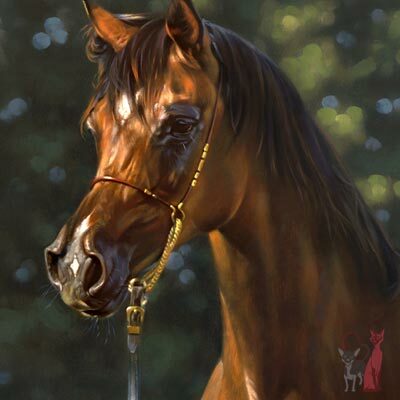 "Many thanks for the wonderful painting you did of my Vilda! It is so natural and alive, every hair is at the right place, and her expression is so well interpreted. The painting has been given a prominent place in our home and all who see it are completely overwhelmed, you really succeeded and I will always be extremely happy with it!" 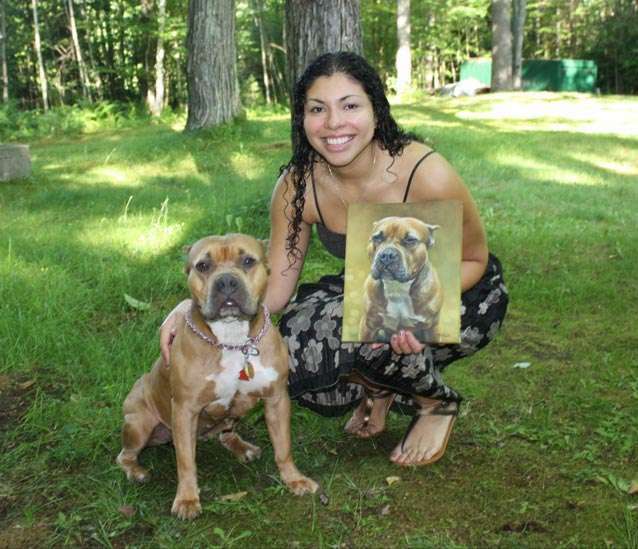 "Hello Katja, I gave Chris his portrait of Ellie and he absolutely loved it! He thought it looked more like her than the actual picture. Thank you for doing such a fantastic job. We both cried after he opened it. Thank you again". Would you like to commission a portrait of your own pet? The process is very simple and will not require much of your time. You’ll be able to pay for your painting or drawing in three parts with only a small amount to start, you don’t even have to decide on size yet. Commission your pet portrait no matter where in the world you’re located with FREE shipping and no worries. You can make a client list deposit even if you still don’t have any good photos. This way you will have a reserved spot and you will be able to take new photos when you have time. There are only a limited amount of spots available each year so why wait?